The GST is the boldest tax reform ever contemplated in India. Here's a 360 degree review. Any modern civilisation is governed by a vast and complex State machinery, which needs humongous resources to sustain itself. Taxes form a major part of the fuel that keeps such a machinery whirring. Why do governments levy tax? To earn revenues to keep working, i.e. to finance their own expenditure. A lot of taxes are used to ultimately run public services that benefit citizens. Every king, warlord, feudal landlord, and government ever in the history of mankind has taxed its subjects. Unfortunately, in modern India, the system has become extremely complex and perverse over time. The GST regime will hopefully recoup the simplicity and smooth flow in Indian taxation systems. A tax is a fee charged by the government on a product, income or activity. It becomes a direct tax if it is levied directly on the income of a person or a company. However, if the tax is levied on the price of a service or a good, it becomes an indirect tax. A tax levied on every sale made. Thus, a dealer A selling to another dealer B collects local sales tax from B, normally included in the price itself. B again does the same to C. Thus, tax gets repeatedly levied as sales price of B included his purchase price from A (which included sales tax) + his profits. A tax levied on every step of the inventory process. Tax is levied at each step of the process – from manufacturer to distributor to wholesaler to retailer to customer. VAT is uniform. A tax levied on Services, and there are tonnes of them in any modern society today! It is a VAT to be levied on both goods and services. A comprehensive tax that promises to subsume (take over) all other taxes. Even VAT in India was not able to eliminate the cascading effect of taxes, hence the struggle to bring a GST regime. GST is a destination tax, similar to a consumption tax. It is applied on the goods and services when a consumer buys them. More than 160 developed nations have this tax in place. GST destination principle means imports would be subject to GST, while exports would be zero-rated. In the case of inter-State transactions within India, the State tax would apply in the State of destination as opposed to that of origin. 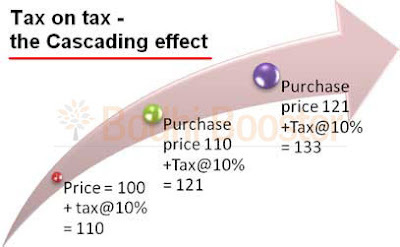 So what exactly is this "Cascading Effect of Taxes"? The VAT system was introduced in which at every next stage, a dealer would get credit of the tax paid at earlier stage, against his tax liability. Benefits? Reduced overall liability of traders, reduced inflationary impact on prices. The Central Excise Duty had a similar concept earlier – the CENVAT credit scheme (earlier known as MODVAT). It this, credit of excise duty paid at the input stages was allowed to be set-off against the liability of excise on removal of goods. In 2004, this system was extended to Service Tax also. Cross-utilisation of credit between excise duty and service tax was also permitted. The problem of cascading effect of taxes is resolved by these measures. But, even till 2016, problems existed with the system that remained unsolved. The credit of Input VAT is available against Output VAT and the credit of input excise/service tax is available for set-off against output liability of excise/service tax. However, the credit of VAT is not available against excise and vice versa. 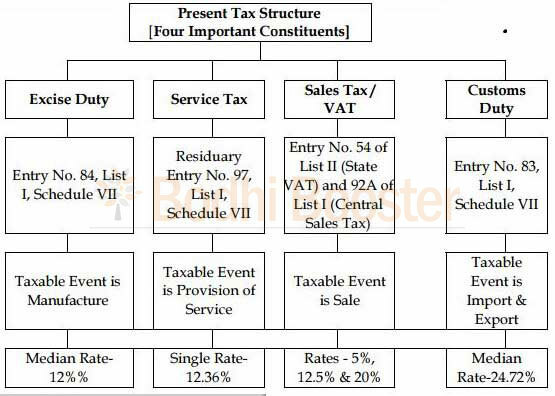 [ Note that VAT is computed on a value which includes excise duty, and no CENVAT credit is allowed for it, so it is a tax on tax ] Excise duty and service tax are levied by the Central Government, while the VAT is levied by the State Government. This made a cross-utilisation of credits impossible. However, the cascading effect of taxes continued. A tax to be paid remains a tax to be paid! Governments don't bother it its right or not. What the GST will not subsume : The GST in India shall subsume all the above taxes, except the Basic Customs Duty that will continue to be charged even after the introduction of GST. Other indirect taxes, such as stamp duties etc shall also continue. India shall adopt a Dual GST model, meaning that the GST would be administered both by the Central and the State Governments. 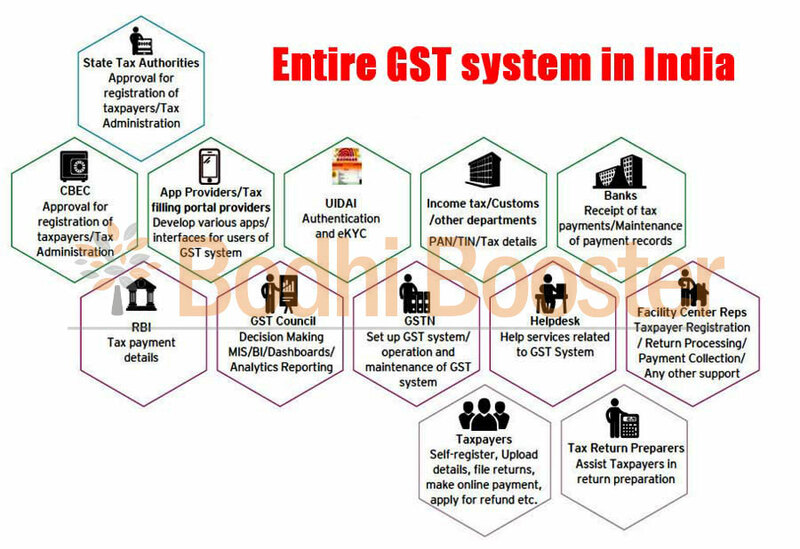 India is going for a dual GST system. It will have a Central GST (CGST) and a State GST (SGST). A third component is also proposed – the IGST or Integrated GST for inter-state transactions of goods. Its working is explained later. The GST Council is a body comprising of Finance Ministers of the centre and all states (including Delhi and Puducherry). It will make recommendations in relation to the implementation of GST, including the rates, principles of levy, etc. The Council is also to decide the modalities for resolution of disputes that arise out of its recommendations. With the coming of GST, the GDP of these nations witnessed a rise – Canada by 1.4%, New Zealand by 2% and Australia by 1%. For India, it is expected to be anywhere between 0.9% to 1.7%. A four-tier GST tax structure of 5%, 12%, 18% and 28% was finalised by the GST Council (thus the range is 5% to 28% and not 12% to 20% as speculated earlier). Essential food items - 0% - With a view to keeping inflation under check, essential items including food, which presently constitute roughly half of the consumer inflation basket, will be taxed at zero rate. Common Use Items - 5% - The lowest rate of 5% would be for common use items. Two standard rates of 12% and 18% finalised under the GST regime targetted to be rolled out from April 1, 2017 (now seemingly very tough - perhaps September 2017 or later). Luxury items - 28% - The highest tax slab will be applicable to items which are currently taxed at 30-31% (excise duty plus VAT). Luxury cars, tobacco and aerated drinks would also be levied with an additional cess on top of the highest tax rate. The collection from this cess as well as that of the clean energy cess would create a revenue pool which would be used for compensating states for any loss of revenue during the first five years of implementation of GST. The cess would be lapsable after five years. In other nations, it is as follows – Canada 5%, UK 20%, Australia 10%, France 19%, New Zealand 15% and China 17%. As per the Finance Ministry, Rs.50,000 crore would be needed to compensate states for loss of revenue from rollout of GST, which is to subsume a host of central and state taxes like excise duty, service tax and VAT, in the first year. India expects to save Rs.80,000 crores annually by introducing GST. Employment boost is expected to be anywhere from 40 lacs to 50 lacs. Average price decrease of manufactured products can be up to 2.5%. A global situation of GST / VAT in 2015 is shown below. India is a federation of States (strictly speaking we are quasi-federal, as the basic Unitary nature is maintained). In keeping with this federal structure, it is proposed that GST be levied concurrently by the Centre (CGST) and the States (SGST). It is expected that the base and other essential design features would be common between CGST and SGST, across SGSTs for the individual States. Both CGST and SGST would be levied on the basis of the destination principle. Thus, exports would be zero-rated, and imports would attract the tax in the same manner as domestic goods and services. Inter-State supplies within India would attract an Integrated GST (aggregate of CGST and the SGST of the destination State). The Indian Cabinet (on July 27, 2016) cleared changes in the GST Constitutional Amendment Bill, dropping 1 per cent manufacturing tax and providing guarantee to compensate States for any revenue loss in the first five years of rollout of the proposed indirect tax regime. It also decided to include in the Constitutional Amendment Bill that any dispute between States and the Centre will be adjudicated by the GST Council. It will have representation from both the Centre and States. 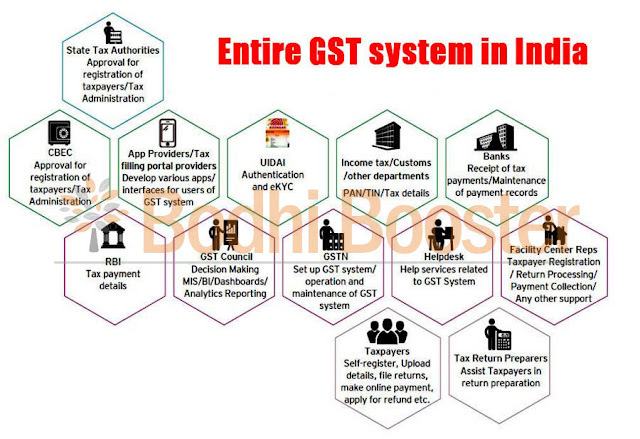 So, India will have the SGST – State GST, collected by the State Govt. and the CGST – Central GST, collected by the Central Govt. Thus, administration of GST will be the responsibility of the GST Council, which will be the apex policy making body for GST. The Central GST and the State GST would be levied simultaneously on every transaction of supply of goods and services except on exempted goods and services, goods which are outside the purview of GST and the transactions which are below the prescribed threshold limits. Further, both would be levied on the same price or value unlike State VAT which is levied on the value of the goods inclusive of Central Excise. 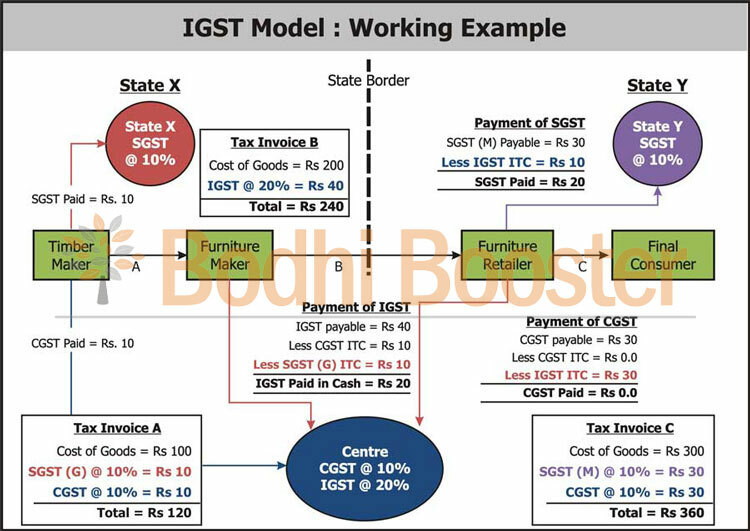 A diagrammatic representation of the working of the Dual GST model within a State is shown below. In this, the cross utilization of credit of CGST between goods and services would be allowed. Similarly, the facility of cross utilization of credit will be available in case of SGST. 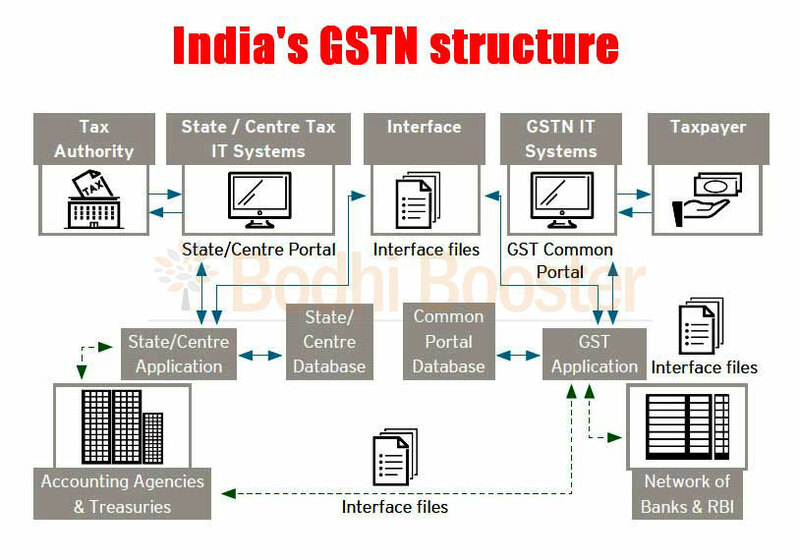 However, the cross utilization of CGST and SGST would not be allowed except in the case of inter-State supply of goods and services under the IGST model which is explained now. How will be Inter-State Transactions of Goods and Services be taxed under GST in terms of IGST method? In case of inter-State transactions, the Centre would levy and collect the Integrated Goods and Services Tax (IGST) on all inter-State supplies of goods and services under Article 269A (1) of the Constitution. The IGST would roughly be equal to CGST plus SGST. The IGST mechanism has been designed to ensure seamless flow of input tax credit from one State to another. The inter-State seller would pay IGST on the sale of his goods to the Central Government after adjusting credit of IGST, CGST and SGST on his purchases (in that order). The exporting State will transfer to the Centre the credit of SGST used in payment of IGST. The importing dealer will claim credit of IGST while discharging his output tax liability (both CGST and SGST) in his own State. The Centre will transfer to the importing State the credit of IGST used in payment of SGST. Since GST is a destination-based tax, all SGST on the final product will ordinarily accrue to the consuming State. A diagrammatic representation of the working of the IGST model for inter-State transactions is shown below. Many claim that the GST regime will be a game-changer. Why? It is argued that GST will help develop a common Indian market and reduce the cascading effect of tax (tax on tax on tax) on the cost of goods and services. It will directly restructure many aspects of the present tax regimes - tax structures, tax incidence, tax computation, tax payment, tax compliance, credit claim and utilization and tax reporting - leading to a new shape of the Indian taxation system. It will impact the pricing of services and goods, it will lead to optimization of supply chains, deployment of I.T. 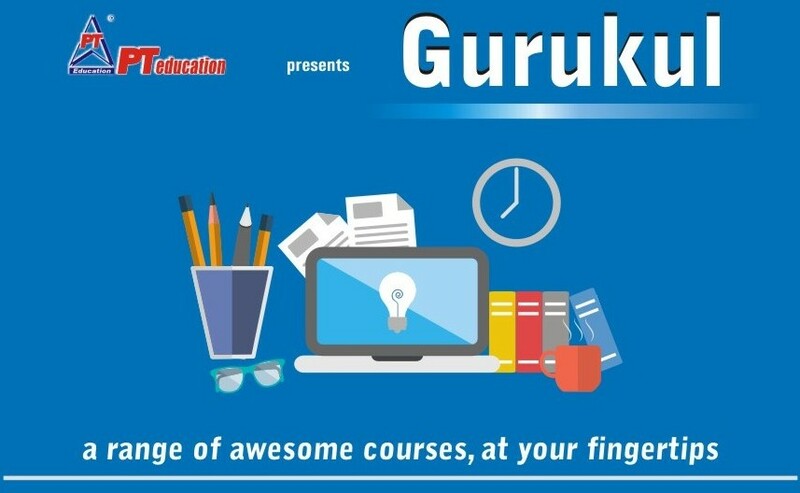 tools and ERPs, accounting norms etc. Companies will need to adopt best practices, gear up for changes in processes, train their teams and develop IT systems for being GST compliant. The Goods and Services Tax intends to convert all states into a single market through a new indirect tax regime, subsuming levies such as excise, sales tax and service tax. It will reduce the need for reconciliation at state borders and could help the country break down the web of check-posts around the country, thereby speeding up the movement of goods. GST is a destination tax, similar to a consumption tax. It is applied on the goods and services when a consumer buys them. More than 160 developed nations have this tax in place. So, the GST will replace the confusing array of indirect taxes levied by various governments in the federal structure with a single nationwide tax. Indian Prime Minister Narendra Modi made it a point to reach out to all political parties in an attempt to get a consensus and end this long journey. While we got political freedom in 1947 and became one political entity – One State – we will now finally become One Market instead of a collection of multiple fragmented markets. In essence, we are signing a Free Trade Agreement with ourselves! The Union Government has been committed to create a system that will replace all the indirect taxes levied on goods and services by the Centre and States. It wanted to implement the GST by 2016. With GST, it is anticipated that the tax base will widen and deepen, and most goods and services will be taxable. A constitutional amendment was needed to get GST rolling. 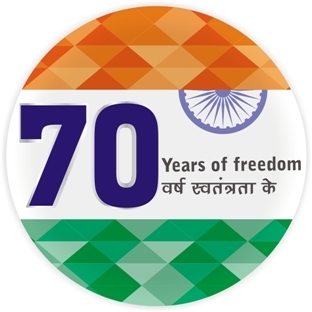 This is so because the Seventh Schedule of Constitution provides for division of powers in respect of taxation between the Centre and the States. Other than inter-state sale of goods, the Centre presently cannot tax sale of goods. Similarly, States cannot levy any Service Tax. Article 246 under Seventh Schedule specifies this. To change this fundamental reality, the constitution needs to be amended. Both the Centre and States need to be given power to levy the GST, a single tax. Hence, the very first provision of the Bill is to add Article 246A. A constitutional amendment bill needs a Special Majority – a majority of total membership of House and 2/3 majority of members present and voting. Voting is always by division. Each clause or schedule will be put to the vote of the House separately and carried by the special majority. Amendments to these clauses need a simple majority only, though. The new tax (GST) has had a long journey since it was first formally proposed during the regime of Atal Bihari Vajpayee in 2000. The Vajpayee government mooted the idea of GST, setting up an empowered committee headed by Asim Dasgupta. This mooted the idea while suggesting the FRBM (Fiscal Responsibility and Budget Management) framework in 2003. This was repeated in 2007. A similar paragraph has featured in every Union budget speech since then, with a call for quick move to GST. But GST never saw the light of the day. The intense political bargaining has continued between New Delhi and the states as well as between various political parties. On May 10, 2007, an Empowered Committee of State Finance Ministers (EC) decide to set up a joint working group. On April 30, 2008, the Panel submitted "A Model and Roadmap for GST in India" to the government led by Manmohan Singh. There have been many debates about (a) compensation due to the states for giving up their ability to tax economic activity, (b) the GST rate that will be neutral in terms of revenues, (c) whether there should be a small additional levy on the movement of goods across state borders and (d) whether a maximum GST rate should be written into the constitution.On November 10, 2009, the Empowered Committee submitted a detailed paper on goods and services tax. In December 2009, Kelkar headed the 13th Finance Commission and made some suggestions on GST. In February 2010, then FM Pranab Mukherjee postponed GST rollout to April 2011. In March 2011, the Constitution (115th Amendment) Bill, 2011, introduced in Lok Sabha to enable levy of GST. Did not sail through. In August 2013, the Committee submitted a report in Parliament. However, the Bill lapsed with the dissolution of 15th Lok Sabha. In December 2014, the Cabinet approved the Constitution (122nd Amendment) Bill, 2014. In December 2014, the Bill introduced in the Lok Sabha. Finally, on 06th May 2015, the Lok Sabha (House of the people) in Indian parliament passed the Constitution (122nd) Amendment Bill, 2014 for Goods and Services Tax (GST). On May 12, 2015, the Bill taken up in Rajya Sabha. On May 14, 2015, the Bill sent to joint committee of Rajya Sabha & Lok Sabha. On July 22, 2015, the Select Committee submitted its report. However, things got postponed to the next year due to lack of political consensus. In June 2016, the Finance Ministry published the draft of the Model GST Bill. The government has been flexible on three fronts. It dropped the 1% tax on inter-state sales, accepted the need for a dispute resolution mechanism, and agreed to compensate states for full 5 years for any loss in their indirect tax collections. On August 1, 2016, Finance Minister Arun Jaitley moves amendments to Bill based on political consensus. It came up for debate in the Rajya Sabha on 03 August 2016, and was successfully cleared after an intense and civil debate. Thus, a long-standing dream was fulfilled. Mere clearing by the Rajya Sabha does not end the story. The passage in Rajya Sabha required two-third majority. It was passed and now the Lok Sabha will clear the amendments. The Bill thereafter had to be ratified by minimum of 15 States (50%) in their respective assemblies before the President can give its assent for its enactment. The government had expressed hope to get this done by September end 2016. However, it happened much earlier! By 08 September 2016, 18 states had already ratified the Bill, including Assam, Bihar, Jharkhand, Chhattisgarh, Himachal Pradesh, Gujarat, Madhya Pradesh, Delhi, Nagaland, Maharashtra, Haryana, Sikkim, Mizoram, Telangana, Goa, Odisha and Rajasthan. The Union territory of Puducherry also ratified the Bill. The Constitution of India on 08-September 2016 stood amended as President Pranab Mukherjee approved the Constitution (122nd) Amendment Bill 2014 for the GST. 20. GST Council - all powerful! The GST Council consisting of representatives from the Centre as well as State was formed within 60 days of the enactment of the Bill. It will make recommendations to the Union and the States on model Goods & Service Tax laws, the rates including floor rates with bands of goods & service tax, the Place of Supply rules and any other matter relating to GST as the Council may decide. The government wants to make the GST Council operational from 01st April 2017. Post-demonetisation, it became a near-impossible deadline. The actual rate bills (Central GST Bill and Integrated GST Bill) will be moved in the Parliament. There is heated debate whether it should be introduced by government as a Money Bill (which RS cannot block, and Congress would not like it as they ask for a capping of GST rates) or as a Finance Bill (which the government may not want to). Those laws will not be applicable in J & K, and it has to pass a separate legislation. States have to pass their own GST laws too. As mentioned earlier, the rate slabs were finalised. Finance Ministry and ECSFM (Empowered Committee of State Finance Ministers) and the GST Council did it. Reports of Joint Committee constituted by Empowered Committee of the State Finance Ministers on business processes of payment, registration refund and return under GST have been released and put in public domain for suggestions. The draft GST Law and Place of Supply Rules are expected to be framed and put in the public domain for comments. The IT backbone of GST, which will facilitate online registration, tax payment and return filing will be launched. States will frame their respective GST Legislations to enable them to implement GST. It will be in line with the Central GST Legislation. The demonetisation debate - or lack of it - washed out the entire session and no GST Bills could be passed. Special session may be called only for that. 28. January to April 2017 - the last mile! (a) The GST Dual Control issue was resolved thus - for all assessees with revenues less than Rs.1.5 cr per annum, states and centre will share the audit and scrutiny in 90 : 10 ratio (random selections). For those above this limit, the sharing will be equal. (b) In a crucial two-days session on 04 and 05 March, the GST Council sought consensus on approvals on iGST (integrated GST), cGST (central GST) and sGST (state GST) drafts before the second half of Parliament's budget session on 9 March. To roll out the new regime from 1 July, the two laws - the Central GST (CGST) Act and Integrated GST (IGST) Act - had to be approved by the Parliament and each of the state legislatures have to pass the State GST (SGST) Act. (c) With a target of launching the GST regime from 01 July 2017, the Union Cabinet cleared four supplementary Goods and Services Tax (GST) legislations to be introduced in Parliament in the budget session. A fifth legistaion on amending the Excise and Customs Act was also brought. The Finance Minister appreciated that all decisions in the 12 GST Council meetings so far were taken through consensus, and not voting. (d) 27-March, 2017 : With the target of rolling out the new indirect tax regime from July 1, Finance Minister Arun Jaitley presented 4 bills related to Goods and Service Tax (GST) – Central GST (CGST), Integrated GST (IGST), Union Territory GST (UTGST) and Compensation law Bill – in the Lok Sabha. Studies estimate that the growth rate could increase by 2% with the implementation of GST. (e) 06-April, 2017 : India’s dream of a ‘one nation one tax' crossed the last hurdle with the Rajya Sabha passing all the four bills related to the Goods and Service Tax (GST) without any amendments. Former Prime Minister and senior Congress leader Dr. Manmohan Singh asked the Congress not to seek changes in the four bills. The long-awaited GST is thus poised to be implemented from July 1, but industry is worried as preparations need a lot of time. 29. May 2017 : The long journey is finally over. The GST Council met in Srinagar & finalised the rates at which over 1,200 goods will be taxed. In the initial list of 1,211 items, the predominant share (43%) of goods will be taxed at 18%, while 17% and 14% of the notified items will fall under the 12% and 5% tax rate slabs, respectively. Around 7% of the items (essential goods like milk, fruits, cereals and poultry) are exempted from all taxes. Around 19% of goods are in the highest tax slab of 28%, and some are the daily needs of the middle classes! So these are the four regular tax slabs, and additional cess taxes of varying rates have also been imposed on sin and luxury goods (pan masala, cigarettes and SUVs - sports utility vehicles) to compensate the States for loss of revenue during the initial years. The government said that GST will be revenue-neutral (that has been a criticism also - design-defects due to chasing this goal). GST’s influence on private spending is difficult to predict till it stabilises. 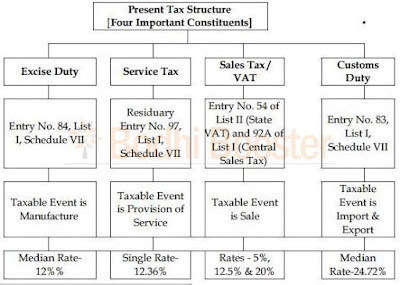 In other nations following GST system, India's four-slab structure looks like a progressive tax code. The principle of simplicity has been compromised which will generate lot of disputes. Backdoor rigging of rates through additional levies that are completely discretionary is a big challenge. States that have added significantly to their debt burden in recent years must be kept in check as they will be tempted to do so. The Centre and States must control themselves so that their instant fiscal crunch does not push tax rates upwards in the future. The 2011 Bill defined GST as “any tax on the supply of goods or services, except taxes on the supply of petroleum crude, high speed diesel, motor spirit (petrol), natural gas, aviation turbine fuel and alcoholic liquor for human consumption”. The 2014 Bill defined GST as “any tax levied on the supply of goods, or services, except taxes on the supply of alcoholic liquor for human consumption”. The 2011 Bill provided for the creation of the Goods and Services Tax Dispute Settlement Authority to adjudicate disputes between the central government and state governments on the issues of GST resulting in any loss in revenue, and affecting the harmonized structure of the tax.The 2014 Bill deleted the provision of such an authority. A provision that imposed restrictions on states on taxation of products deemed of special importance in inter-state trade or commerce. A provision allowing states to tax the entry of goods into a local area that are for use or sale only to the extent levied by a Panchayat or a Municipality. The 2014 Bill amends the Constitution to give concurrent powers to Parliament and state legislatures to levy a Goods and Services tax (GST). This implies that the centre will levy a central GST (CGST), while states will be permitted to levy a state GST (SGST). For goods and services that pass through several states, or imports, the centre will levy another tax, the Integrated GST (IGST). Working of this explained elsewhere in this writeup. Alcohol for human consumption has been kept out of the purview of GST. Further, GST will be levied on 5 types of petroleum products at a later date, to be decided by the GST Council. States may be given compensation for any revenue losses they may face from the introduction of the GST regime. Such compensation may be provided for a period of up to five years. GST is being defined as any tax on supply of goods and services other than on alcohol for human consumption. Central taxes like, Central Excise duty, Additional Excise duty, Service tax, Additional Custom duty and Special Additional duty and State level taxes like, VAT or sales tax, Central Sales tax, Entertainment tax, Entry tax, Purchase tax, Luxury tax and Octroi will be subsumed in GST. That is, they will cease to exist separately. Petroleum and petroleum products i.e. crude, high speed diesel, motor spirit, aviation turbine fuel and natural gas shall be subject to the GST on a date to be notified by the GST Council. 1% origin based additional tax to be levied on inter-State supply of goods will be non-creditable in GST chain. The revenue from this tax is to be assigned to the Origin State. This tax is proposed to be levied for initial two years or such period as recommended by the GST Council. Provision for removing imposition of entry tax / Octroi across India. Entertainment tax, imposed by States on movie, theatre, etc will be subsumed in GST, but taxes on entertainment at panchayat, municipality or district level to continue. Stamp duties, typically imposed on legal agreements by the state, will continue to be levied by the States. ##fa-thumbs-o-up## Cascading benefits, not cascading taxes! GST will lead to avoidance of tax cascading leading to minimum inflation stoking. It will be one tax subsuming all other indirect taxes leading to simple administration. India becomes a single market rather than a fragmented one, leading to free movement. Tax controversies and litigations reduce. Faster turnaround times due to minimum entry formalities across state borders. Destination principle and zero rating, leading to GST collection by consuming states (DP) and exports benefit due to ZR as taxes cannot be exported! Assume GST rate of 8% throughout. Weaver sources raw material and weaves the fabric. He sells to Tailor at Rs.100, but has to pay GST, so applies it on Rs.100. Weaver's sale price to Tailor become Rs.108, of which Rs.8 is the GST. The Tailor gets the fabric at Rs.108, tailors it into a readymade shirt. He sells the shirt to a Retailer for Rs.250. But he has to apply GST, which is 8% of Rs.250 = Rs 20. So sales price of Tailor = Rs.270, of which Rs.20 is the GST. 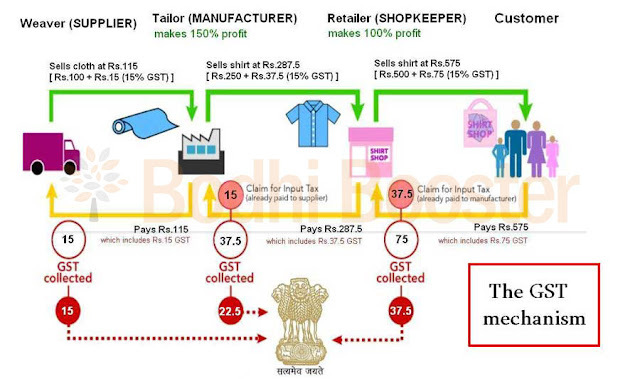 Tailor had already paid Rs.8 as GST, so he will get a credit for Rs.12 (20 - 8) in his books. Weaver got credit for Rs.8 in his own books. The Retailer sells that shirt to a Customer for Rs.500. But he has to apply GST on it @ 8% rate. So sale price becomes Rs.500 + Rs.40 = Rs.540. Of this, the Tailor and Weaver have claimed credit for Rs.12 + Rs.8 already, so the Retailer claims tax credit for Rs.40 - Rs.20 = Rs.20. Customer bought the shirt for Rs.540. That is the destination point. He is not selling to anyone but consuming the shirt. Hence, no tax credit. He pays full Rs.40 of GST. There are three key issues to be understood. Adam Smith (the father of Capitalism as an idea) had said that that “the division of labour is limited by the extent of the market”. In other words, the integration of the domestic market through the GST will improve economic efficiency. The fragmentation of Indian supply chains will be minimized. India will become a common market, nearly seven decades after its political integration. The theory of optimal taxation by Diamond-Mirrless is a globally accepted foundation for tax systems. Its key is the ‘productive efficiency theorem’. It states that that optimal tax systems should not tax the production of intermediate goods. Taxation on intermediate goods leads to the diversion of resources away from the production of final goods. The burden of taxation should fall on income and consumption in order to maximize efficiency. The proposed Indian GST is actually a tax on final consumption rather than a tax paid across the value chain, and is hence close to the Diamond-Mirrlees norm. The GST in effect will eliminate taxes on production and distribution—only final consumption will be taxed. In 2009, Arbind Modi wrote for the finance ministry arguing for a flawless GST. He said that the poor should not be harmed by it. Many people say that the higher the rate, the greater the regressivity in terms of harming the poor. The key issue here is that a high GST rate will hurt the poor. The Arbind Modi report had called for a modest 12% tax rate, shared between New Delhi, the states and the third tier of government. But now that rate is nowhere in sight! A complex nation like India definitely needs a national understanding – a bargain – on minimizing complexity of trade and commerce. But it is to be ensured that the poor are not harmed in the process. The GST will raise funds for both the federal government at the centre and the states, and will replace a huge machinery of taxes, duties, surcharges and cesses levied by the centre, the states and local authorities. The present system fragments the economy and gives huge scope for corruption by officials and politicians. Make in India by making one India – Replacing most taxes with a GST would ideally create a single market in India—of 1.3 billion people. The Indian economy has been growing at rates of 7% plus for many quarters now. The best chance of turning Mr Modi’s slogan of “Make in India” into reality is through a single market - “Make in India by Making One India”, as a government report put it. The existing system taxes production more than consumption and, in effect, subsidises importers at the expense of domestic producers. Perversely, trade between states is taxed, through a central sales tax of 2%. Some states also impose duties on products entering from elsewhere in India. Lorries are held up at internal checkpoints. Problems companies face – Because trade between one state and another is subject to the central sales tax while the transfers of inventory are not, companies are forced to setup warehouses in every state to avoid the tax. And because duties paid on inputs often cannot be claimed back, there is a “cascade” of taxes levied upon previous ones. It discourages investment in machinery. The entire system works to optimise tax, not productivity. This has harmed India immensely in the past many decades. Indeed, a flawless GST with a single rate for all goods and services, and minimal exemptions could boost Indian growth by anything between 0.9 and 1.7 percentage points a year. Another benefit would be to create a paper trail and an incentive for firms to declare transactions in order to claim tax credits, so reducing overall tax evasion. It was proposed that imposing the tax on oil products (a vital input) be postponed till an unspecified future date. It exempted alcohol entirely. That these two categories currently account for a large share of states’ revenues (and of illicit party funding). The Congress rightly objected to the central sales tax. But its demand that the constitution should enshrine a maximum rate for the GST of 18% made little sense. A committee led by the finance ministry’s chief economic adviser, Arvind Subramanian, offered some concessions: scrapping the central sales tax and setting two bands for the GST (a standard rate of 17-18% and a lower 12% rate for certain sensitive goods). The committee also proposed that alcohol as well as property transactions should be subject to the GST; in return, states could levy “sin taxes” on things like alcohol and tobacco of up to 40%. Some states are worried that there overall tax revenues may go down as loss through abolishing of state levies may not be covered by their share in the GST collection.Hence the Center has assured compensation for a certain period of time. 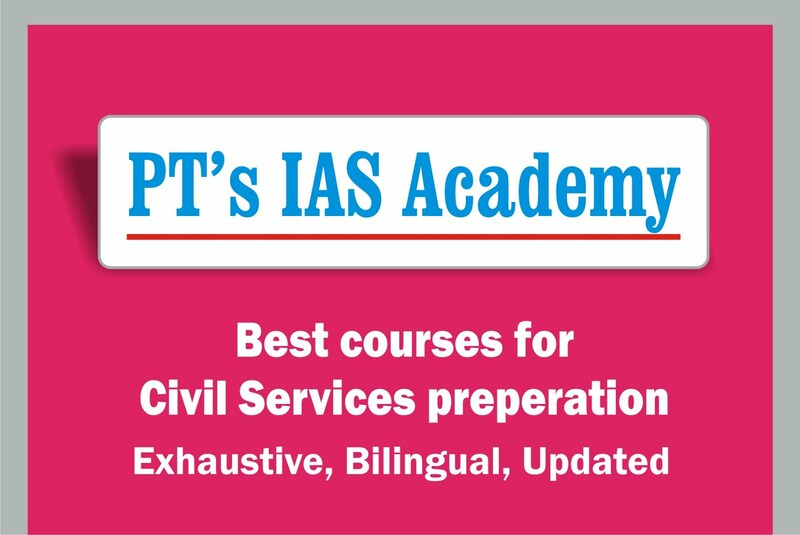 India is a very diverse and complex country, where different states have different requirements. Tamil Nadu’s opposition to the GST has to be viewed in this context. The TN government feels it is not getting a fair deal in this reform. It is a state which is strong on manufacturing. 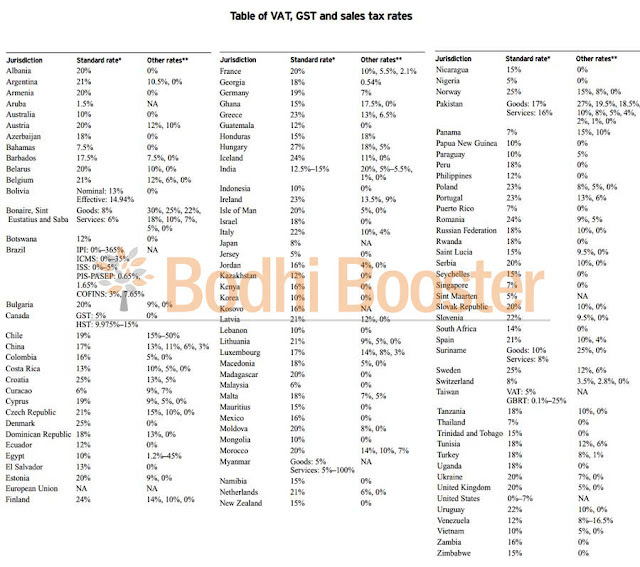 Such states have a problem since GST, being a destination tax, will result in outflow of tax revenue to consumption-intensive states (also due to the phasing out of central sales tax and the transfer of input tax credit on inter-state sales and inter-state stock transfers to the destination states). TN government had claimed that due to the difficulty in fixing even nominally high revenue-neutral rates, it is expected that the extent of revenue loss under GST would be around Rs 9,270 crore for Tamil Nadu. TN reiterated the need for a constitutionally mandated independent compensation mechanism for full (100 per cent) compensation of revenue losses suffered by the states for not less than five years. In lieu of the proposed additional levy of 1 per cent tax on inter-state supply of goods (which Union govt. dropped ultimately), TN suggested that the origin states be allowed to retain four per cent of the central GST part of the inter-state GST that would be levied on inter-state supply of goods and services. This would ensure speedy compensation for a portion of the revenue loss and would reduce the amount of compensation payable. For states with manufacturing industries, sharing the unified indirect tax base with the union government via the destination-based GST, will mean an outflow of tax revenue along with goods and services produced there, to states that consume the goods and services. In this sense, GST provides no incentive for manufacturing states. However, the Bill has a provision to compensate the states for the revenue loss for five years. Once this runs out, there are doubts whether the GST vehicle will help the manufacturing states to return to their present revenue trajectory. Overall, GST sailed through with little hiccups in the Rajya Sabha, and later through the Lok Sabha and the required number of state assemblies. It finally led to the constitutional amendment on 08 September 2016. A lot of systemic changes will now come. GST will have direct benefits for a variety of sectors in the economy. Post-demonetisation, however, many of these sectors have faced unexpected headwinds, and earlier assumptions have been questioned. ##chevron-right## Banking operations will achieve greater scale as a large part of the economy comes under the purview of GST in order to claim input tax credits. ##chevron-right## GST credits on purchase of goods expected to increase the overall credit pool. ##chevron-right## Interest on loans expected to be taxed under GST. ##chevron-right## Simplified levy and valuation on composite transactions by eliminating multiplicity of taxes such as VAT, service tax, entry tax etc. ##chevron-right## Composite contracts likely to be treated as “Services” eliminating the prospect of a lot of litigation. ##chevron-right## Simplified levy and valuation on composite transactions by eliminating multiplicity of taxes such as VAT, service tax, entry tax etc. ##chevron-right## End to classification disputes between goods and services for items such as sim cards, franchisee fees, AMC, etc. ##chevron-right## End to classification disputes between goods and services. ##chevron-right## Lesser negative list to ensure higher tax compliance. ##chevron-right## Full credit of tax on inter-state sale will reduce cost of procurement and production. ##chevron-right## Credit of imported goods will make them cheaper for retailers. ##chevron-right## Elimination of entry tax. ##chevron-right## Increased fungibility of credit on goods and services. ##chevron-right## Eliminates multiplicity of taxes such as entertainment tax, luxury tax, VAT, etc.##chevron-right## Fungible credits between goods and services will benefit the media and entertainment sector the most. Thus, exports from at least five sectors should get a boost as their prices get lowered. These are – Chemicals, Iron and Steel industries, Machinery for food and textiles, Agricultural machinery, and Plastics and rubber products. Harmonization of center and State tax administrations, which would reduce duplication and compliance costs. Tax controversies and litigations reduce. Less developed states get a boost as the 2% inter-state levy means production is kept within a state. Under the GST national market, it can be dispersed. Destination principle and zero rating, leading to GST collection by consuming states (DP) and exports benefit due to ZR as taxes cannot be exported! GDP gets a boost due to elimination of tax cascading etc. The Government of India feels the following will be the benefits of GST. ##chevron-right## Easy compliance: A robust and comprehensive IT system would be the foundation of the GST regime in India. Therefore, all tax payer services such as registrations, returns, payments, etc. would be available to the taxpayers online, which would make compliance easy and transparent. ##chevron-right## Uniformity of tax rates and structures: GST will ensure that indirect tax rates and structures are common across the country, thereby increasing certainty and ease of doing business. In other words, GST would make doing business in the country tax neutral, irrespective of the choice of place of doing business. ##chevron-right## Removal of cascading: A system of seamless tax-credits throughout the value-chain, and across boundaries of States, would ensure that there is minimal cascading of taxes. This would reduce hidden costs of doing business. ##chevron-right## Improved competitiveness: Reduction in transaction costs of doing business would eventually lead to an improved competitiveness for the trade and industry. ##chevron-right## Gain to manufacturers and exporters: The subsuming of major Central and State taxes in GST, complete and comprehensive set-off of input goods and services and phasing out of Central Sales Tax (CST) would reduce the cost of locally manufactured goods and services. This will increase the competitiveness of Indian goods and services in the international market and give boost to Indian exports. The uniformity in tax rates and procedures across the country will also go a long way in reducing the compliance cost. ##chevron-right## Simple and easy to administer: Multiple indirect taxes at the Central and State levels are being replaced by GST. Backed with a robust end-to-end IT system, GST would be simpler and easier to administer than all other indirect taxes of the Centre and State levied so far. ##chevron-right## Better controls on leakage: GST will result in better tax compliance due to a robust IT infrastructure. Due to the seamless transfer of input tax credit from one stage to another in the chain of value addition, there is an in-built mechanism in the design of GST that would incentivize tax compliance by traders. ##chevron-right## Higher revenue efficiency: GST is expected to decrease the cost of collection of tax revenues of the Government, and will therefore, lead to higher revenue efficiency. ##chevron-right## Single and transparent tax proportionate to the value of goods and services: Due to multiple indirect taxes being levied by the Centre and State, with incomplete or no input tax credits available at progressive stages of value addition, the cost of most goods and services in the country today are laden with many hidden taxes. Under GST, there would be only one tax from the manufacturer to the consumer, leading to transparency of taxes paid to the final consumer. ##chevron-right## Relief in overall tax burden: Because of efficiency gains and prevention of leakages, the overall tax burden on most commodities will come down, which will benefit consumers. Who benefits – Corporates or Citizens? The big question is – will the consumer benefit? Yes, if corporates pass on the benefit they get. The Anti-Profiteering clause (proposed in Nov 2016) was precisely out of this fear. In the case of goods, indirect taxes such as excise, value added tax and central sales tax are embedded in the prices consumers pay. For example, toothpaste. Suppose the price is Rs 52, around 25-27 percent of this is actually the tax cost. Now, with the GST rate of 18-20 percent (assume), subsuming the various indirect taxes, the tax cost ideally comes down. However, it depends on whether the company decides to pass on the benefit! Companies take pricing decisions based on various factors, including the industry they are in and competition they face. Generally consumers do not get such benefit. Consumers rarely pay less for a good only because tax rate has been reduced (except perhaps in the Automobile sector). So, prices of select goods and services may rise initially due to GST but the impact on the inflation rate will be minimal. Unless the final GST rate on each product category is known such calculation will be speculative. With GST, overall taxes on goods are likely to come down and make them cheaper. However, there may be some teething troubles as the new law comes into effect. In the long run, the lower tax burden could translate into lower prices on goods for consumers. Will the corprates benefit? They will, in these ways. Double taxation will end. So the effective indirect tax is expected to decline. The corporates pay tax on tax in the present system as there is no input tax credits across the value chain. Seamless movement of goods across states will reduce the logistics and inventory management costs, which are very high in India. Narrow differentials between unorganised and organised players through in-built self policing. Since input tax credit will be available for all taxes paid earlier in the value chain, firms would require evidence of compliance from the preceding links to claim set-offs. Thus, everyone would want to do business with honest firms that maintain records. This could increasingly bring unorganised players under the tax net, thereby reducing their price competitiveness vs. organized players. As corporates get more of input credits, their net tax cost will go down and as many taxes are subsumed number of compliances they need to do also comes down. Economists have predicted a 1.5-2 percent boost for the country’s GDP once the GST is implemented. It will lower the tax and increase the compliance, resulting in higher tax revenue for the government. Movement of goods will be quicker, simpler and cheaper. That is expected to give a boost to the economy. Several experts on economy feel the proposed tax is low on substance and massive on hype. Let us see the key concerns of such people. Will consumers benefit due to lower prices? The doubters say that this is just one of the many questions that should be asked if GST is implemented. The argument about a fall in prices is wrong. Undoubtedly, there would be simplification in the tax regime faced by businesses but not as much as is being made out. There will be three taxes — CGST collected by the Centre, SGST collected by the states and an IGST on inter-state movements collected by the Centre. Further, under pressure from the states, alcohol, tobacco and petro goods are likely to be left out of the purview of GST. So are electricity and real estate being left out of the GST net and will have separate taxes resulting in some cascading effect. Services did not have to pay sales tax earlier but will now have to pay the SGST to the states so their prices will rise. For instance, telephone calls, insurance, transportation, restaurants, etc. will become dearer. A common tax rate will imply that all basic and essential goods prices will rise, and even if some final goods prices fall, the rate of inflation will go up. Fiscal federalism under attack A common rate for all states undermines fiscal federalism; because different states have different requirements. The real problems with the introduction of GST in India have not been addressed. The unorganised sector in India employs 93 percent of the workforce. The small and tiny units producing and selling locally would lose from a unified market which will benefit large-scale producers. This will aggravate under-employment, distress in the farm sector and adversely impact the poorer states. No wonder, GST is being strongly backed by large businesses — foreign and Indian. Just because VAT exists in more than a hundred nations is no reason that it would uniformly benefit all in India. Will growth really get boosted due to GST? Some experts say that GST is a massively over-hyped phenomenon. It has been touted that GST will have massive impetus on investment and growth, but in fact the effect will be marginal. It’s a convenient excuse that as GST is not there, growth isn’t taking place. As far as creating a national market is concerned, with a uniform single tax regime across the country, over-centralisation had never benefitted India. Same is in the case of GST. It’ll be a cosmetic reform to show the world that India is doing reforms. In the last two years, investment has failed to pick up. We’ve witnessed massive rise in non-performing assets in public sector banks. Experts feel that since the GST has become a political issue, it is getting over-hyped. The basic objective of GST is simplification of tax structure and a unified taxation. But, it needs to be seen whether that objective is being fulfilled or not. What happens in the future? A common taxpayer has an apprehension in mind regarding the proposed indirect tax regime. First, will new taxes would be added in future, once GST is in place? If, the maximum cap is 20 percent, people don’t want any other tax to be added to it. Second, at present the total tax comes to 33 percent, whereas GST talks about 18-20 percent tax rate. Third, prices of commodities and services will go up. Fourth, role of tax department and its officials — will they continue to hound taxpayers? The government has to come up clear on these issues. The common man has serious concerns like at present service tax is charged at approx. 15 percent, but when GST will be in place, it’ll be at 18 percent. This will make some of the services costlier. The Union government wants that instead of mentioning the fixed upper rate in the Constitution, it should be mentioned in GST law. Here, the apprehension of consumer lies because in the long term, the rate of taxation will be on the whims and fancies of tax administrator and the government. What if it’s changed? The government has to ensure its commitment. Our current system of indirect taxation is a cesspool of inefficiency, resulting in tax evasion becoming a norm for business survival leading to creation of vested interests. The labyrinth of taxes at the Central and State Level levy cascading taxation on the same value added to the product inflating the selling price in the hands of the consumer. Under the current system, taxes cascade leading to higher overall taxation. For instance, a manufacturer buys raw material for Rs 100 paying an input taxation of Rs 10. If the manufacturer adds a value of Rs 50, the sale price to the wholesaler will be Rs 176 (Rs 100+ Rs 10 (Tax) + Rs 50 (Value addition) + Rs 16 (10% Tax on Rs 160)). If the wholesaler adds value of Rs 24, the before tax price of the product becomes Rs 200. The end consumer will ultimately pay Rs 220 (Rs 200+ Rs 20 (Tax at 10%)). The total tax paid on the product thus equals Rs 46 (Rs 10+ Rs 16+ Rs 20) while the intended tax was Rs 17.4 (Rs 10+ Rs 5+ Rs 2.4). Thus the consumer an additional tax of Rs 28.6 compared to that computed on the basis of value added at each stage. Cascading taxes are turnover taxes which are applied at every stage in the supply chain, without any deduction for the tax paid at earlier stages. Such taxes are distorting in that they create an artificial incentive for vertical integration. They have been replaced in Europe and many other locations by a value added tax (VAT). GST is a value added tax over the entire supply chain that avoids cascading of taxes. In the above example, the GST would have worked out to Rs 17.4 (Rs 10+ Rs 5+ Rs 2.4). Therefore the GST is a special sort of sales tax, commonly referred to as a value-added sales tax. This type is distinctive in that it only taxes the monetary value added to a product at different stages of the production process. Consumption sales tax: The GST is a consumption sales tax, which means that the party purchasing the product (the consumer) is responsible for paying the tax, as opposed to the “seller” of the product. If you purchase a candy from a candy store, you (as the consumer) are charged the GST in that particular transaction. This principle operates at all stages of production and distribution. Whenever a transaction occurs, be it at the manufacturing, distribution or retail stage, the party purchasing the good or service is required to pay the GST. Percentage consumption tax: It means that the amount of tax you pay is based on a certain percentage of the sale cost (before taxes) of the good or service you have purchased. In India, GST will subsume the Central taxes such as Central Excise, Additional Customs Duty, Central Sales Tax, and CENVAT along with State Level taxes such as State Sales Tax, VAT and Municipal taxes such as Octroi, Entry tax, etc. Moreover GST will have direct benefits for a variety of sectors in the economy. Threshold limit for business under GST: Different states and centre have varied threshold limits for levying service tax, central excise duty and the state VAT. As of now there is no consensus on a uniform threshold limit for GST. Training of tax administration: It is a humongous task to train the tax bureaucracy for effective implementation of GST. Robust IT network: It will be a herculean task to synchronize the Central and State tax networks which is crucial for the success of the GST. Post the Presidential assent in September 2016 - The government of India finally managed to convince all political parties to allow the passage of the revolutionary GST Bill through the Rajya Sabha and finally the Lok Sabha as well (the amendments suggested by Rajya Sabha). The President too gave his assent, and the law came into being. Since many issues had been ironed out earlier in principle, now come the challenges of actual execution. Demonetisation has totally altered the national discourse post Nov.08, 2016. The GST rollout is certain to be delayed to September 2017, and hopefully not beyond that. Even assuming things come back on track, the top challenges will be as follows. The GST council (a constitutional body as per Article 279A) was formed and it actually swung into action. It will be the key to successful implementation of GST, the creation of a national market and sustained accelerated growth. The GST council is a radical shift in structure and responsibilities as compared to the empowered committee of state finance ministers, coordinating GST issues so far. The 33 member GST Council may now need to adopt a committee system (like the Parliament) to move faster. The GST Council needs to operate in a transparent, predictable and consistent manner so that it commands the respect of its members and also of the stakeholders — from manufacturers, traders and service providers to consumers, civil society, academics and the nation at large. It has to frame Rules of procedure to finalize the tax base by recommending the exempted goods and services, the threshold for taxation, the revenue-neutral rate (RNR) and the rate structure. These are deep issues & will impact all the states and the Centre. The council has to ensure a convergence of incentives among all its members, by getting the compensation formula right and minimizing delegated legislation. Parliament will then make a law to provide for compensation for revenue losses to state governments. All states may prefer payment of 100% compensation for all their losses for the full five years, but that is impossible to do. States may become indifferent to the revenue collection under GST for this entire period. Hence, to ensure all states' desire for GST to succeed, a tapered compensation formula is needed (just like done earlier for VAT in 2005) : 100% in the first year, 75% in second, gradually tapering off to 25% in the last year. Article 269A mandates making recommendations on (a) special rates to deal with natural disasters, (b) special provisions for the North-Eastern states, and (c) the date on which petroleum products will be subjected to GST. To avoid uncertainty, the council should indicate how it will address these three issues. For example, it could state upfront in which year it will recommend (or at least consider) inclusion of petroleum products in the GST base. To allow the new system adequate time to settle, it could also examine after what period or under what circumstances it will review its initial recommendations on GST rates. It may be challenging to bring GST into place by 1 April 2017. Since the council is given legislative, executive and judicial powers (as it will recommend GST legislation, oversee implementation of the GST in the country and set up adjudication mechanism for disputes), hence it should exercise its powers with the utmost inclusiveness. It must put up draft consultation papersfor public scrutiny, seek views from all on issuesand setting up an interactive portal for everyone. The structure and content of the Central GST, inter-state GST and GST laws, the RNR and the rate structure, should be decided. 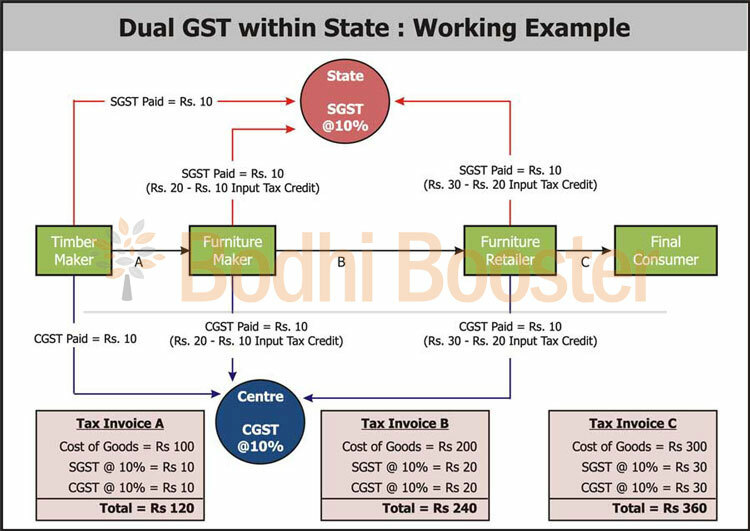 While it is simple to determine the RNR for the Central GST, computing it for states individually is difficult. There are difficulties in estimating the share of service tax of individual states given the lack of state-wise service tax collection data. Given the extreme dependence of state governments on indirect tax revenue, care is needed. The RNR, when applied over the entire tax base, will generate the current revenue. State governments may like to look at the budget-neutral rate, the rate at which, given lower expenditure, their expenditure budgets remain neutral. This will be lower than the RNR, and therefore provide a safety cushion for state (and Central) governments. The Thirteenth Finance Commission had recommended an RNR of 12% over a broad base and with few exemptions. The Arvind Subramanian panel suggested 15%. It may be desirable to keep the RNR between 12% and 15%. It is being believed that GST will bring down inflation which requires nuanced understanding. While GST would avoid tax cascading, the government would be loath to give up on the absolute amount of tax that it is used to collect which has set it in the search of a Revenue Neutral Rate (RNR) which will increase the GST rates to such a level that the taxes being paid remain the same. In the long term, as tax compliance improves, there is an opportunity for the GST rates to come down which will bring relief to the consumers. Right now, the government must focus on bringing in the long awaited tax reform to ensure equitable tax collection. 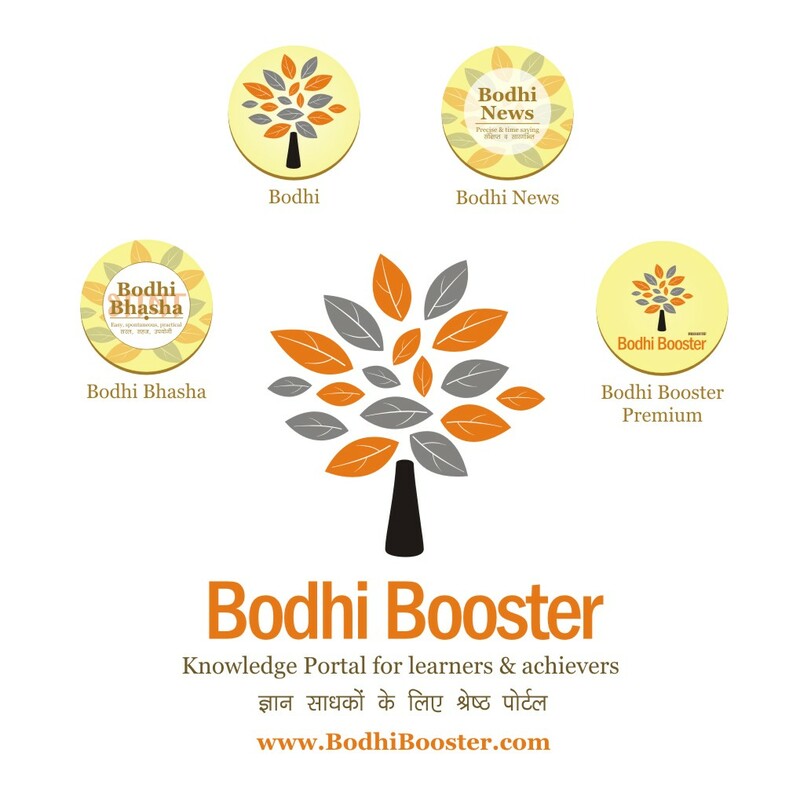 Get the most well-rounded view on evolving situation by reading our Bodhis on demonetisation here and here, and following Bodhi News and Analysis here! As the GST Council got into action, and cleared various hurdles one by one, decisions were taken and finally a deadline of July 2017 was set for final rollout. However, experts have criticised some core aspects of India's biggest tax reform. We present a gist of those criticisms below. Meanwhile, you can track all developments in past few weeks/months by visiting our Bodhi Updates on GST, here. ##chevron-right## The very fact that a GST regime is being brought is a good idea, but not as good as it was supposed to be - in terms of delivering a 2% growth. ##chevron-right## The good things about our GST – (1) Both Central and State tax on any commodity will be levied on same base, and at same rate across India, (2) Full set-off for taxes paid at earlier stages as per VAT principle, (3) Zero-rating for exports, (4) Subsuming (abolishing) many other indirect taxes, (5) Creation of a single national market for each commodity, (6) Level playing field with imports (which were earlier escaping state taxes but paid only Cenvat = Central VAT) and now both domestic and imported goods will pay the GST. ##chevron-right## However, there are serious problems too. Worldwide situation – 152 countries have GST – of which, 69 have a single rate, 83 have multiple rates but of these there are two groups - (a) High income nations – average number of rates is 2.2 (but the EU is considering going to a single rate which will reduce this too), and (b) Lower Middle income (our type) – average number of rates is just 1.7! But India is starting with 4, and actually 5, different rates. ##chevron-right## Full list of problems with our GST – (1) An ideal system should have some exempted goods, and just a single rate for all commodities, (2) We will have four rates (5%, 12%, 18%, 28%), many essential commodities will be excluded, luxury goods to bear cesses (non sharable with states), so practically five different rates! (3) Some bad exclusions (electricity, real estate, petro products). ##chevron-right## An expert committee (Arvind Subramanian) had suggested that we should have only 3 rates (12%, 17-18%, and 40%). Finance Ministry had proposed to the GST Council 6%, 12%, 18%, 26%. Finally, GST Council went for 5%, 12%, 18%, 28%. ##chevron-right## What is the problem with it? Tax evasion under a single rate requires hiding your sales itself (which is now very tough). But in multiple rates, one can try to declare goods in different slabs creating confusion and ultimately, litigation or corruption. ##chevron-right## Why did they do it? To avoid short term shocks to the system, by ensuring most prices remained more or less the same. But that is a wrong aim to target. We should try to do something that keeps overall CPI unchanged and not individual prices unchanged. ##chevron-right## There would have been other benefits too like better tax compliance and promotion of efficiency. So to get “no price change”, we have sacrificed these. ##chevron-right## For petro products, a possible promise of including them after 5 years has been made. But not for real estate and electricity. So taxes paid on construction inputs will get no credit setoffs against the GST paid for taxable goods and services. ##chevron-right## Is all lost? No. Parliamentary debate is pending. The GST Council must allow changes during that. ##chevron-right## The anti-profiteering clauses (unjust enrichment) should never be allowed to become a tool of harassment and corruption. A target of just 3 rates and fewer exemptions by 2020-21 must be announced. ##chevron-right## GST is all about cooperative federalism, and future changes will need the GST Council’s consent. We should not end up taking the July deadline as the only goal worth pursuing. To have a great and near-perfect system is the goal worth pursuing. As all the finer aspects were thrashed out by the GST Council, the GST regime seemed set to begin. Here is the full list of relevant documents (for download and study).